While America held its breath in the days immediately following 9/11, a small but determined group of CIA agents covertly began to change history. This is the riveting first-person account of the treacherous top-secret mission inside Afghanistan to set the stage for the defeat of the Taliban and launch the war on terror. 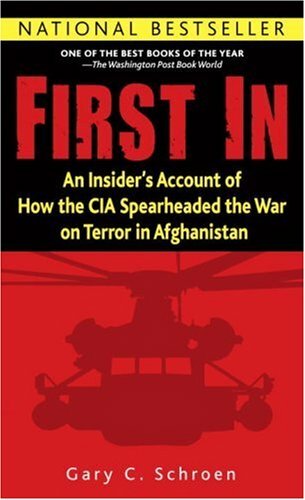 As thrilling as any novel, First In is a uniquely intimate look at a mission that began the U.S. retaliation against terrorism–and reclaimed the country of Afghanistan for its people. From the Hardcover edition.